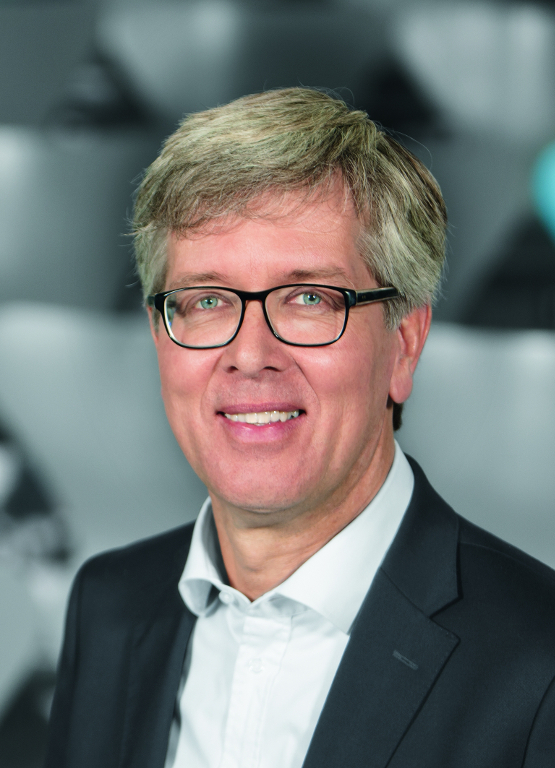 Dr Frank Melzer has been a Member of the Management Board of Festo AG & Co. KG since 1 October 2017. The mechanical engineering graduate heads the Product and Technology Management department, which includes Digital Business and Corporate Research and Innovation. 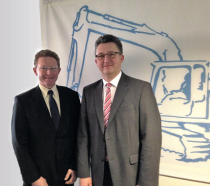 Dr Frank Melzer (right) replaces SAP Member of the Management Board Bernd Leukert as head of the Industry 4.0 platform steering committee. Festo has been involved in the research advisory board and several working groups since the founding of the Industry 4.0 platform. The experts are particularly involved in the topics of reference architectures, standards, security of networked systems and qualification. 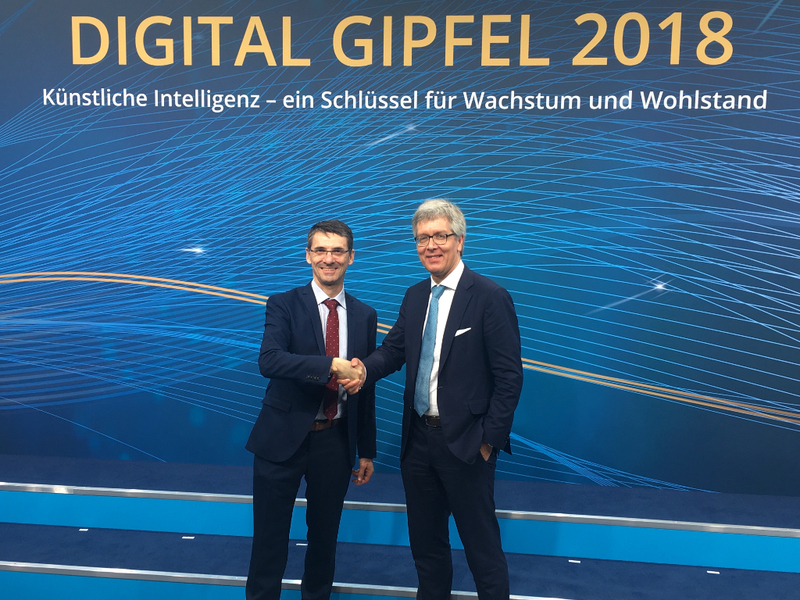 Among others, Dr Michael Hoffmeister, Executive Expert in Digital Business at Festo, was significantly involved in the concept of the administration shell in the working group ‘Reference architectures, standards and standardisation’ of the Industry 4.0 platform. The paper ‘Details of the Administration Shell’ was published at the SPS IPC Drives exhibition in Nuremberg at the end of November. The management shell is so important for Industry 4.0 because it abstracts the devices and other assets and allows their data and other functionalities to be accessed in a unified and controlled manner. An asset can be a single sensor or a complete production line. The management shell describes the asset using sub-models that complement each other. Each sub-model represents a specific aspect, such as documentation or technical data. The Industry 4.0 platform is the central network in Germany for advancing digital transformation in production. More than 300 actors from over 150 organisations are actively involved in the platform, working shoulder to shoulder between politics, business, science, trade unions and associations. 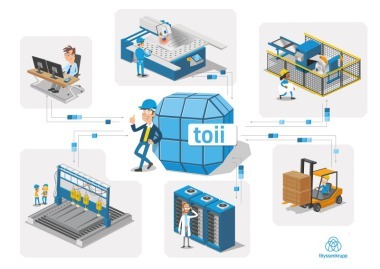 As one of the largest international and national networks, the platform supports German companies – in particular medium-sized businesses – to implement Industry 4.0, especially by making existing practical examples of Industry 4.0 known to companies and spreading them across the country. It also provides important impulses with concrete recommendations for action and refers to support services and test environments. The numerous international cooperations of the platform underline its strong role in the international discussions around the topic of Industry 4.0. Once a year, the Digital Summit of the German Federal Ministry for Economic Affairs and Energy (BMWi) is dedicated to ideas, tasks and concepts to strengthen Germany as a location for digital transformation. This year’s summit on 3 and 4 December in Nuremberg was held under the motto ‘Artificial intelligence – a key to growth and prosperity’. Representatives from politics, business, science and education discussed the challenges and opportunities of digitisation. Until 2017, the Digital Summit was still called the National IT Summit. The new title takes account of the fact that digitisation concerns both the supplier and the user side, from industry 4.0 to the cultural and creative industries.